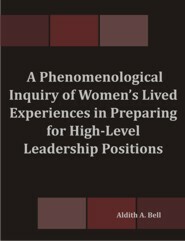 The purpose of the qualitative hermeneutic phenomenological study was to explore the influence of leadership development or succession-planning programs upon women's progression to high-level positions and their continued success in the executive ranks. A qualitative methodology provided a detailed and rich understanding of the experiences of women in high-level leadership from the perspectives of women who have experienced leadership development or succession-planning programs. Twenty women in high-level leadership positions employed in for-profit organizations in the eastern United States were the focus of the study. The results revealed that while some aspects of the programs were effective, upon promotion to their high-level positions, most of the women leaders expressed a lack of preparation for their high-level positions. Key issues the women executives indicated were missing in existing leadership development and succession-planning programs were (a) on-the-job training, (b) lack of mentors, and (c) job rotation. With over 20 years as a business professional, Dr. Aldith A. Bell possesses a unique blend of business experience and a strong background in several business-critical areas including high-volume operations, information technology, project management, consulting, and business and academic research. She holds a Bachelor of Business Administration degree in accounting, a Master of Business Administration degree with a focus in Technology Management, and a Doctorate in Management with a focus on Organizational Leadership. Dr. Bell's area of specialization is the importance of organizations incorporating a talent management strategy that takes advantage of the number of women already in the leadership ranks and prepares them for high-level succession roles. She is the author of multiple publications on women's leadership development and is available for speaking engagements.